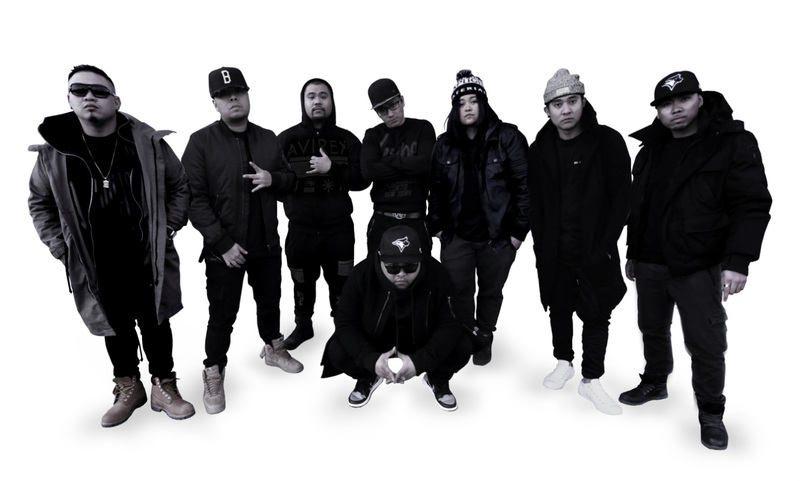 Southeast Cartel is a Pinoy Hip Hop group based in Toronto, Ontario (Canada). Their name is a combination of their roots - Philippines being located in South East Asia, and the group's business mentality in the sense that as a cartel looks to push 'dope' (drugs), so does the group look to push out 'dope' (good) music to the people. Having been making music for the past 8 years, Southeast Cartel (SEC for short) has opened up for popular Pinoy artists/groups such as Parokya ni Edgar, Bamboo, Gloc 9, Abra, Loonie, Retrospect and Siakol. In 2016 they had the opportunity to perform in Taste of Manila, a festival that attracted upwards to 200,000 people in Toronto. The group is well experienced in performing in a variety of different events and locations, having travelled to places such as Winnipeg and Montreal for shows. SEC along with fellow artists organized the first ever annual Pinoy Hip Hop event in Toronto called SELDA FEST this year (2017). Pinoys from all over Canada came to perform and support. SELDA FEST was a big success, with close to 300 people in attendance and a total of 21,000 live stream views. With American and Pinoy influences, the group's English/Tagalog music is a blend of old school and new school written around unforgettable hooks. Whether a song has a simple or complex message, Southeast Cartel aims to reach Filipinos all over the world with relatable, quality music. Southeast Cartel Music was formed by Francis ‘Franchizze’ Fabie. The initial members were Franchizze (Dos Armados), Lyrikal Abstrakt (Dos Armados) and Dagamuffin. The team began to grow as other artists and groups joined. This was the time when Sundaloz, Eazygoing Musik, Rydeen, and Pipoy of Puntoz Blankoz officially became Southeast Cartel members. SEC's first mixtape titled Buhay Pa Ang Rap was dropped, a statement to say that Pinoy Hip Hop in Toronto was still very much alive. The group took a break from releasing any big projects in order to redefine their sound, their goals and to become closer as a family. Even without dropping a mixtape/album SEC was still involved in their community performing, supporting, and co-organizing events. Southeast Cartel's new sound started to develop. Before planning to start on their new album, the team decided to push out a second mixtape titled 'On Air'. The project was a combination of RnB songs recorded over the past few years when the group was still finding themselves. This was dedicated to all the fans that had been waiting patiently for SEC. The team came out swinging with the drop of a new single & music video, Pare Ayos Lang in January. The song itself signified the comeback of Southeast Cartel and to share with fellow Filipinos worldwide their own brand of music. Their new music is very much an extension of Southeast Cartel itself - a mix of Filipino and American musical influences and culture and each member's individual creativity all held together with ambition and passion. Southeast Cartel and 727 Clique collaborated to put out the Southeast Clique. It is available for free download here on the site, as well as on all common streaming platforms.